One of the more unexpected enthusiasts for the cinematograph in its early days must surely be the youthful Sultan of Morocco (ruled 1894-1908). In truth cinema was but one of the foreign-made playthings in which he was interested. Encouraged by western governments, especially Britain, he imported gadgets in large numbers: according to the Times correspondent these included automobiles, grand pianos, wild animals in cages, barrel-organs, hansom cabs, false hair, and even a passenger lift destined for his one-storey palace. In amongst these items was a large amount of camera gear, including a £2,000 camera made of gold. To operate this equipment the Sultan decided to have lessons in photography and cinematography, and some time between 1900 and 1901 the ex-Lumière operator Gabriel Veyre arrived on the scene. Based at the Sultan's palace in the so-called 'Cour des Amusements', surrounded by billiards, balloons, telephones and the other devices which had attracted the Sultan's fancy, Veyre's principal duty seems to have been to project films to the young ruler and his wives. 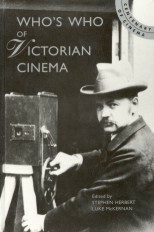 But he was by no means the only film man to be so employed: in 1901 John H. Avery, one of Charles Urban's cameramen, filmed the Sultan for the Warwick Trading Company, and then stayed on as his projectionist. The same year C. Rider Noble arrived and performed the same functions for three years, later lecturing on his experiences in Britain using the films he had taken there. By 1908 a young Charles Rosher (later Mary Pickford's cameraman) was the new resident film expert. But by this time increasing disatisfaction was being expressed in the country over the Sultan's extravagance and his western ways. Along with the four cinematographers that he had employed, his European suite included a conjurer, a watchmaker, a German lion-tamer, a French soda-water manufacturer, and a Scottish piper. It was not a company calculated to endear him to his traditional Moslem countrymen, who considered the devices that the foreigners operated 'abominations', particular ire being reserved for the 'boxes of Satan' as the cameras were called. A rebellion was snuffed out in 1903, but in 1908 he was overthrown by his brother. 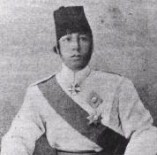 He was allowed to stay in Morocco, however, where his interest in cinema continued, and in 1913 he visited Charles Urban and ordered a complete Kinemacolor installation for his residence in Algiers.